When it comes to cream cheese, there’s nothing like the homemade kind. It is more delicious than even the most popular store brand. The superb flavor of homemade cream cheese comes from quality ingredients. 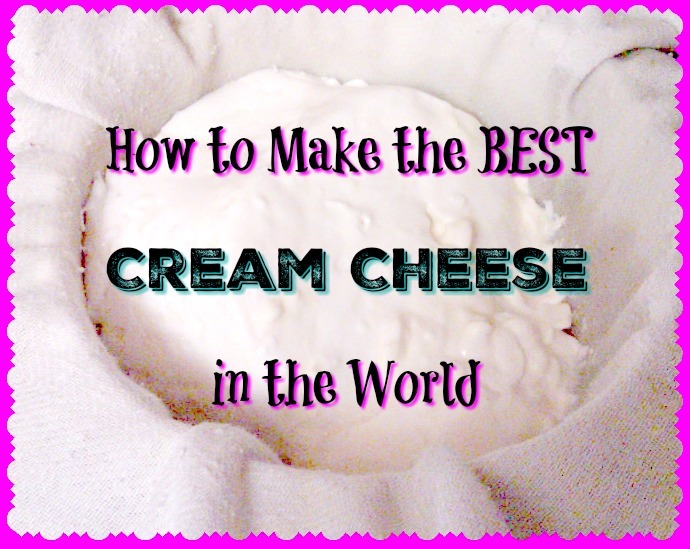 This entry was posted in Cheese Making, Recipes, Uncategorized and tagged cheese culture, cream cheese, Creole Cream Cheese, New Orleans on July 23, 2016 by Homesteader's Supply. Get ready for a low-tech, no grow-lights approach to an abundant harvest of microgreens! This book shows how you can grow all the fresh salad greens you need for the winter months (or throughout the entire year) with no lights, no pumps, and no greenhouse. All you need is a cupboard and a windowsill. Longtime gardener Peter Burke was tired of the growing season ending with the first frost. Due to his busy work schedule and family life, he didn’t have the time or desire to bother with high-input grow lights or greenhouses. Most techniques for growing what are commonly referred to as microgreens left him feeling overwhelmed and uninterested. 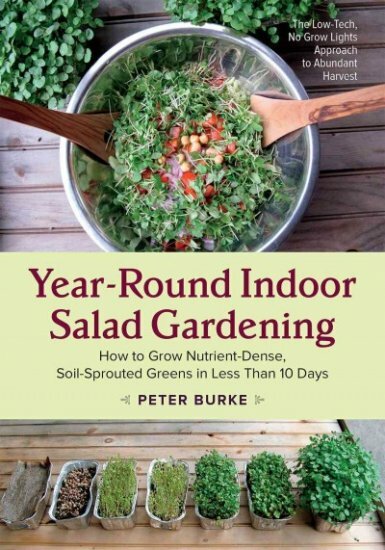 So, he set out to find a simpler way to grow salad greens for his family indoors. After some research and diligent experimentation, Burke discovered that not only was it possible to grow nutrient-packed microgreens indoors, but it was easy, too! He didn’t even need a south-facing window. And he already had most of the necessary supplies sitting in his pantry. His result: healthy, homegrown microgreens at a fraction of the cost of buying them at the market. His secret: starting them in the dark! 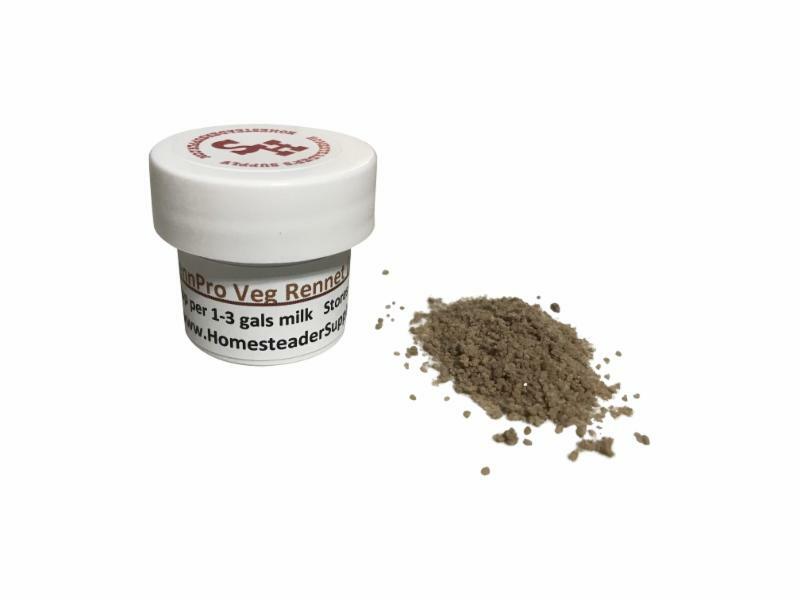 Burke refers to sprouted seeds grown in soil as opposed to jars as “soil sprouts.” His method encourages a long stem without expansive roots, and provides delicious salad greens in just seven to ten days–much earlier, and with a lot less work, than any other growing method. Indeed, of all the ways of growing immature greens, Burke’s is the easiest and most productive technique. So, forget about grow lights and heat lamps! This book is a revolutionary and inviting guide for both first-time and experienced gardeners in rural or urban environments. All you need is a windowsill or two. In fact, Burke has grown up to six pounds of greens per day using just the windowsills in his kitchen! Year-Round Indoor Salad Gardening offers detailed, step-by-step instructions to mastering this method. It’s so easy, it’s impossible to fail! This book tells you what supplies you need to have on hand, including tools and accessories, seeds and greens varieties, soil and compost, trays and planters, and shelving. It also covers harvest and storage, recipes, scaling up to serve local markets, and much more. 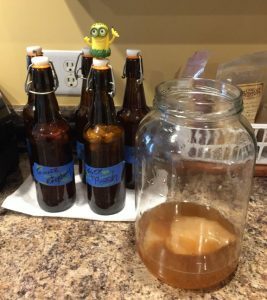 This entry was posted in Book Spotlights, Gardening, Sprouting, Uncategorized and tagged growing microgreens, growing salad greens, soil sprouts, sprouted seeds on July 15, 2016 by Homesteader's Supply. Q&A: Why won’t my mozzarella cheese stretch? A customer asked Help! My mozzarella cheese won’t stretch! Jerri’s answer Acidity is the key for the stretch in mozzarella. Not enough or too much acid will result in hard curd floating or disintegrating in the water. The pH of your slab needs to be between 5.0 and 5.2 for it to stretch well when kneaded in hot water. And the ripening of your slab is very dependent upon the weather. 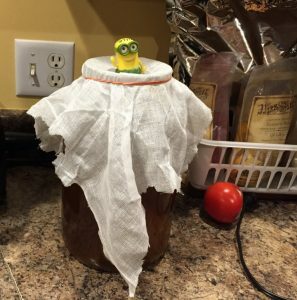 It can over-ripen in hot weather, or under-ripen in colder weather. One trick to standardize your mozzarella making year round is to ripen your slabs in the refrigerator for 16 hours. 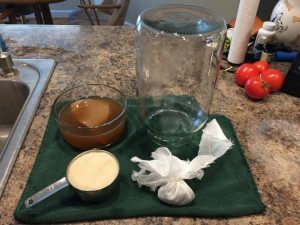 Would you like to try making mozzarella the old fashioned way at home? Our REAL Italian Mozzarella Kit makes cheese with authentic Old World flavor. The mesophilic and thermophilic cheese cultures we use to make our mozzarella are imported directly from Italy. 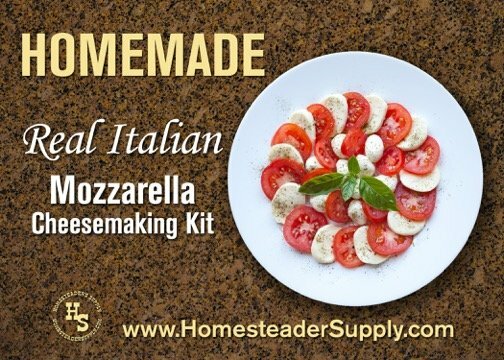 This entry was posted in Cheese Making, Q&A, Uncategorized and tagged mozzarella cheese, troubleshooting on July 12, 2016 by Homesteader's Supply. This is the first in our series of articles on making healthy eating more affordable. The Internet is flooded with money-saving ideas, but most of them focus on the smart shopping aspect. Here, we’re going take a different tack and talk about things you can do to bring down your food costs after you’ve left the grocery store. One topic that’s largely ignored is how you can save money by changing the way you present (or serve) the food you’ve already purchased and prepared. And that, my friend, is the subject of our first article! During the Great Depression, home economists and women’s magazines taught housewives how to “stretch” their food budget because food was scarce back then. They learned how to make pricier ingredients, like meat, go farther by combining them with less expensive ingredients, like macaroni. And so, casseroles became very popular, as did meals that consisted of a little bit of meat in a sauce or gravy that was poured over a starchy food, like biscuits or a potato. Of course, nowadays, meals like chipped beef on toast are considered old fashioned and aren’t particularly well-liked in the United States, with possibly a few regional exceptions. Today, we have a healthier option that’s based on the idea of “stretching,” yet allows us to enjoy a wider variety of healthy and delicious whole foods and more sophisticated flavors. The very simple concept of a “meal in a bowl” (called a bowl for short) has gained enormous popularity in recent years and seems to be taking the culinary world by storm because the food combinations are virtually limitless. This leaves plenty of opportunities for home cooks and professional chefs to improvise and experiment with new flavors. You can make your bowl as humble or as refined as you like. But, even the humblest combination of ingredients can pack a serious nutritional punch! A bowl is an attractive layered meal intended for one person. When making a bowl, you typically start with a base of whole grains, on top of which you pile a variety of vegetables in layers. Here’s where you get to go wild with your colors! Remember, everything doesn’t need to be raw. Keep things interesting by adding some roasted, grilled, pickled or fermented veggies, and maybe even a little fruit (like grilled pineapple). Then, on top of the veggies, add two or three ounces of meat or other protein (like fish, egg, cheese, beans or other pulses, baked tofu or tempeh that’s been marinated and sautéed). Choose a sauce that compliments the flavors in the meal and then drizzle (or pour, if you a like a lot!) it over everything. Finish up by adding a layer of crunchy ingredients, like nuts or seeds, on top to give the meal some texture. Optionally, you can sprinkle on some fresh herbs or other zesty ingredients (like pickled ginger) to make the flavors pop even more. One of the greatest things about a bowl is its versatility. 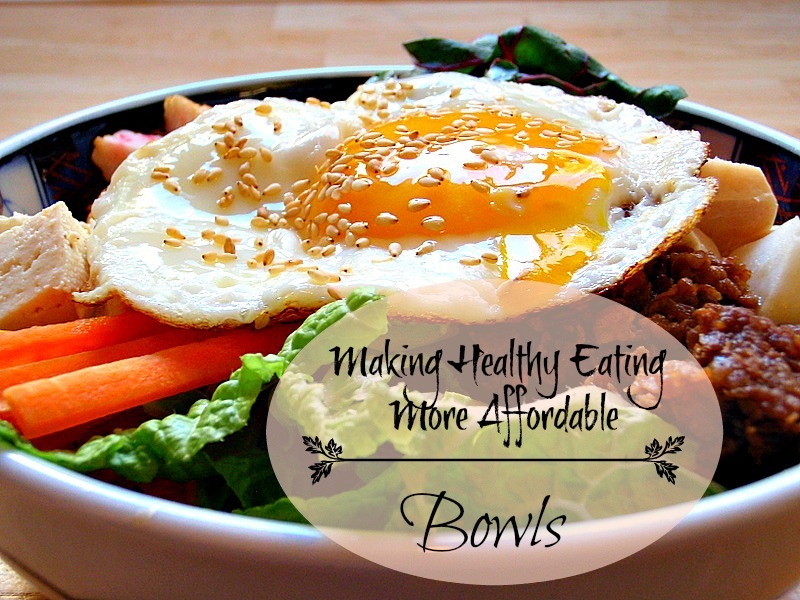 Bowls allow a great deal of flexibility as far ingredients are concerned. It’s easy enough to mix-and-match ingredients, and to substitute one ingredient for another. No spinach? Use Swiss chard or your favorite green. Out of rice? Substitute quinoa. It’s as easy as that! You can serve your bowl hot or cold, simply by varying the ingredients. Another wonderful thing about a bowl is that you can put a meal together quickly, and it’s not a lot of trouble to prepare a meal for one when dining alone. It can be very easy, and it never has to be boring. 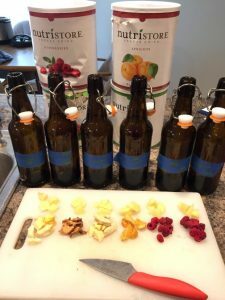 Many ingredients can be prepared in advance. For example, you can pre-cook your grains or meat, divide it into portions, and freeze it. When planning your next meal, just take as many portions as you’ll need out of the freezer and defrost them. Similarly, you can hard boil eggs and keep them (unpeeled) in the refrigerator for up to a week. Sturdier vegetables like onions, carrots, bell peppers, and cabbage can be sliced, chopped, or shredded ahead of time and stored in air-tight containers in the refrigerator to be used in the next day or two. Fruits that won’t turn brown when exposed to the air can be stored similarly. Try a variety, like cherries, grapes, kiwis, citrus, pineapple, and mango. Sauces like store-bought salsa are a cinch. There are also other reasonably healthy commercially prepared sauces available, like Trader Joe’s Teriyaki sauce. But, you don’t need to buy any fancy sauces. Most people can whip up a tasty sauce pretty quickly just using ingredients they already have on hand, such as soy sauce or tamari, toasted sesame oil, olive oil, balsamic vinegar, prepared horseradish, Dijon mustard, mayonnaise, Sriracha sauce, harissa, peanut butter, honey, garlic, ginger, wasabi, lime and so on. As we’ve seen, a bowl can be very easy to prepare, but you can make it as elaborate as you want. If you’re so inclined, you can create a bowl that’s a gourmet’s delight. More exotic combinations are often inspired by international flavors. In fact, many cultures around the world have their own traditional versions of a bowl. For an example, since ancient times, Koreans have been making a mouthwatering dish called bibimbap, which is served as bowl of warm white rice topped with seasoned sautéed vegetables. For the sauce, they use a combination of chili paste, soy sauce, and fermented soybean paste. Customarily, the bowl is topped with a bit of sliced beef or an egg (either raw or fried). Plant-based diets are by far less expensive than eating conventional meals where meat takes center stage. Moreover, eating this way fills you up. You can eat a lot more volume because these foods are low in calories. They’re also loaded with fiber, which helps keep you full longer. And, they’re nutrient dense, so you’re getting loads of antioxidants, vitamins, enzymes, pre-biotics, pro-biotics, and more. Plus, when you’re body’s getting all the nutrition it needs, you tend not to get as hungry, so you eat less food less often. All of these things translate to savings on your food budget. Furthermore, a plant-based diet is by definition alkaline. 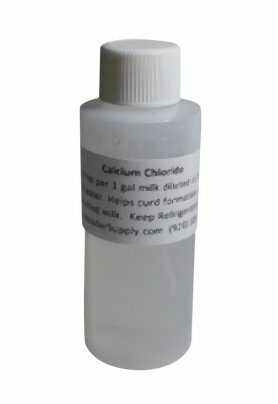 Alkaline diets have been shown to strengthen our body’s defenses, help cells regenerate and repair, and protect the kidneys. They also improve our energy, digestion, joints, sleep, and resistance to colds, flu, and severe illnesses like autoimmune disease and cancer. You really can’t go wrong by making bowls a central part of your diet. So, what would you like in your bowl? Share your ideas with us in the comments! This article is for educational use only and is NOT intended as medical advice. The information presented herein is based on the opinions of the author, unless otherwise noted. Any statements or claims about the possible health benefits conferred by any foods or supplements have not been evaluated by the Food & Drug Administration (FDA) and are NOT intended to diagnose, treat, prevent or cure any disease or condition. We encourage you to do your own research and consult a qualified health professional before making any health-related changes. 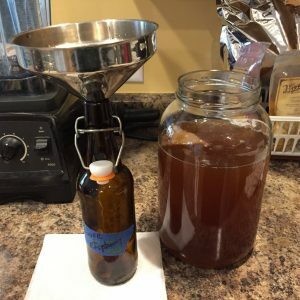 This article may not be downloaded, reproduced, republished or otherwise copied without express written permission of the author and of Homesteader’s Supply. 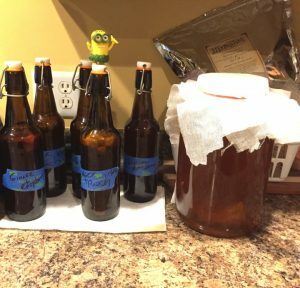 This entry was posted in Budget Friendly, How-To, Real Whole Foods, Recipes, Uncategorized and tagged bowls, meal in a bowl on May 28, 2016 by Homesteader's Supply.